Analyzing the performance of a website is often a confusing task for website owners and SEO enthusiasts. From the basics of SEO optimization to looking for broken links and duplicates, the process can be confusing, which is exactly where a tool like Smart SEO Auditor comes in handy. Smart SEO Auditor is a tool that promises “website analysis in one click”, and it does deliver. Below is a quick review of this tool, which is now available for download. Smart SEO Auditor can be downloaded from their official website, and once it has been installed, you just need to run the app, type the website address that you want to search, and click on ‘Start Crawling’ button. The tool is excellently designed and checks each of the web pages for more than 30 different and important criteria. Once the analysis is done, the results will be saved on a file and can be exported to Excel if required. To download the application, click https://smart-seo-tool.com. 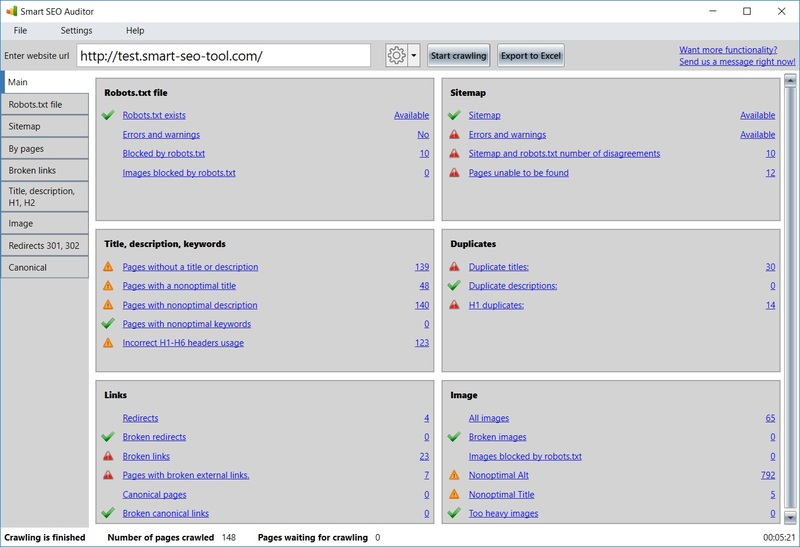 Smart SEO Auditor does have a freeware version, which can crawl as many as 100 pages but not more. If you are a SEO expert who wants to use this tool for reviewing hundreds of websites, you can choose to purchase the full version. Smart SEO Auditor offers uncompromised assistance and tech support, for which you can send an email or contact the tech team via the website. Webmasters, website owners, and SEO specialists can all benefit from it, and it can be used effectively for reviewing and analyzing large websites. With Smart SEO Auditor, it is possible to analyze every single aspect of a website, which remains the biggest advantage of this tool. From links from other pages, website images to the robots.txt files and sitemap, the tool will check everything. It also allows webmasters and website owners to keep a track of competitor’s site and improve the issues with their own websites. The check is done on the background, and the analysis is presented in a readable and comprehendible report that even a layman can understand. The tool comes with a money back guarantee, which probably talks volumes of what the developers think of the end product. Smart SEO Auditor freeware version is enough for reviewing smaller websites, while the full version is a decent investment for those dealing with complicated large portals. Check the website now to find more.